This page shows the latest BioIndustry Association news and features for those working in and with pharma, biotech and healthcare. Nevertheless, the rejection of a no-deal will please the Association of the British Pharmaceutical Industry (ABPI). ... facility in Oxford, noted the BioIndustry Association (BIA). 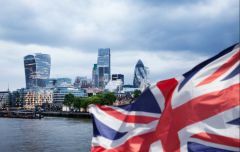 as the Brexit process enters “unprecedented political waters,” says the BioIndustry Association (BIA). venture capital funding that went to the sector across Europe, according to a BioIndustry Association (BIA) report. Approximately 1 fully matching, plus 89 partially matching documents found. It has also been chosen by the UK's BioIndustry Association (BIA) as its charity of 2015.
chief executive of the UK's BioIndustry Association, a post he has held since July last year. ... Career timeline. CEO, BioIndustry Association, July 2012 - present. Senior Director, APCO Worldwide, January 2012 – July 2012. He has also previously served as chairman of the UK BioIndustry Association (BIA) and was awarded the OBE in 2006 for services to the biotechnology industry. VP of R&D atMedimmune to chair BioIndustry Association board. Jane Osbourn will be the new chair of the BioIndustry Associaton (BIA) board, effective January 2016. Will hold the position for a three-year fixed term. UCB's Mark Bodmer has been elected to the board of UK trade body the BioIndustry Association (BIA). Biotech trade body adds representatives from MedImmune, J&J and more. UK trade body the BioIndustry Association (BIA) has elected six new members to its board. Account Director, Ed Sexton, previously led media relations for the UK BioIndustry Association, whose award-winning Brexit campaign represented more than 330 life sciences companies in the UK. The UK BioIndustry Association, the BIA, is the trade association for innovative enterprises involved in UK bioscience. ... The BioIndustry Association.